I met Cynthia serendipitously through IACP, a professional culinary organization that we both belong to. On the morning we met, we both thought we were joining an IACP Food Writers and Editors Google Hangout, but for some reason we both ended up being the only two people in our Hangout. I still haven’t figured why no else showed up to that particular the Hangout. Either Cynthia and I were technologically advanced and made it to the Hangout while others did not, or we were in one Hangout while our colleagues were in another. Regardless of the set of circumstances, we took advantage of our time together to get to know each other and to share information about our cookbook projects. When all was said and done I asked Cynthia to participate in this interview series and she asked me to write a Sunday Supper tip for her next cookbook. 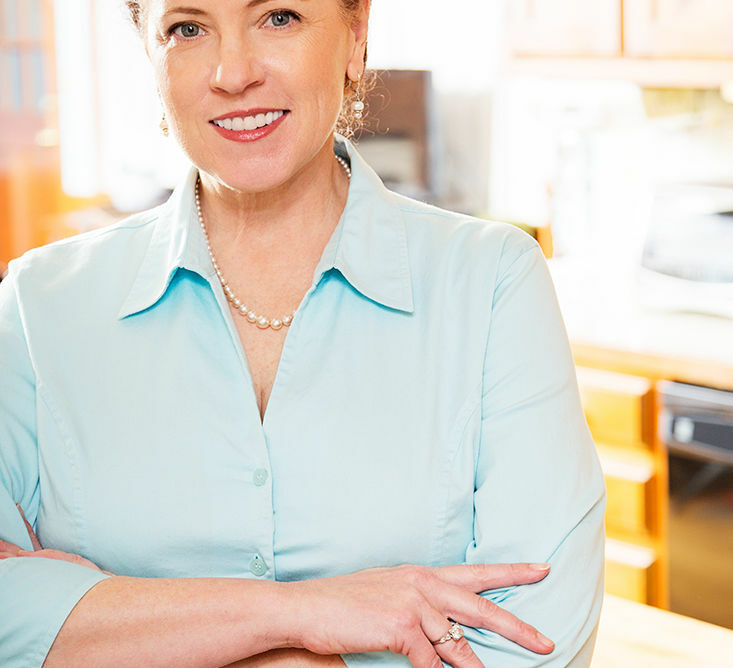 She was completing her 7th cookbook manuscript and had a hole to fill from a Kentucky cookbook author and I knew she’d have a lot to offer aspiring cookbook authors in an interview. Thank, Cynthia, for sharing your knowledge and tips here. I can’t wait to see the Sunday Suppers cookbook. And, I enjoyed our private Google Hangout a few months ago. What is the name of your most recently sold-written cookbook? My first cookbook was The One-Armed Cook: Quick and Easy Recipes, Smart Meal Plans, and Savvy Advice For The New and Not-So-New Moms. I co-authored it with a dear friend. Our agent in New York had just sent out copies of our manuscript to publishers the day before 9/11 and they became lost in mailrooms across the city. Publishing froze for a time. I then formed my own publishing company and we published the book to great success. Meredith Books approached us after we sold 4,000 copies in 4 months and they became our new publishers. My next two cookbooks were co-authored with Nathalie Dupree. First came Southern Biscuits (Gibbs-Smith 2011) and next Mastering the Art of Southern Cooking (Gibbs-Smith 2012), which won a James Beard Award. Next came Slow Cooking for Two (Gibbs-Smith September 2013), and 6 months later Slow Cooker Double Dinners for Two (Gibbs-Smith April 2014). Those were authored solo. 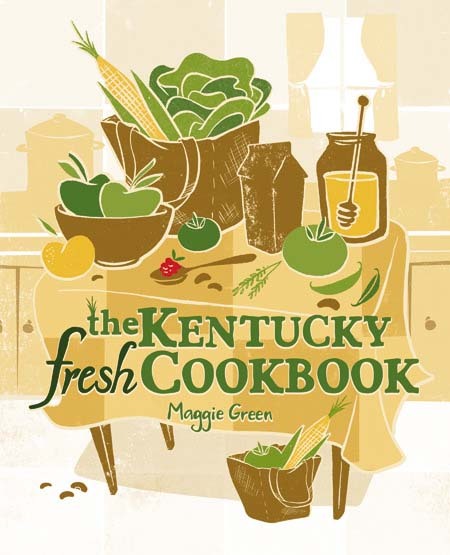 Coming this spring is Mastering the Art of Southern Vegetables (Gibb-Smith 2015) which I wrote with Nathalie Dupree. Fall 2015 will see the release of my 7th cookbook: Sunday Suppers (Southern Living/Oxmoor House). I’m currently writing the Chicken volume for the Savor the South cookbook series published by University of North Carolina Press. What compels you to want to write cookbooks? I thoroughly enjoy the process of writing a cookbook. I enjoy conceiving a book map, inventing and testing recipes, and writing the various sidebars and headnotes to comfort and encourage my readers. I plan to do many more! For the very first cookbook, I contracted with an agent, which did not result in a publishing contract. When Meredith Books approached us about publishing, we turned the negotiation over to that agent. 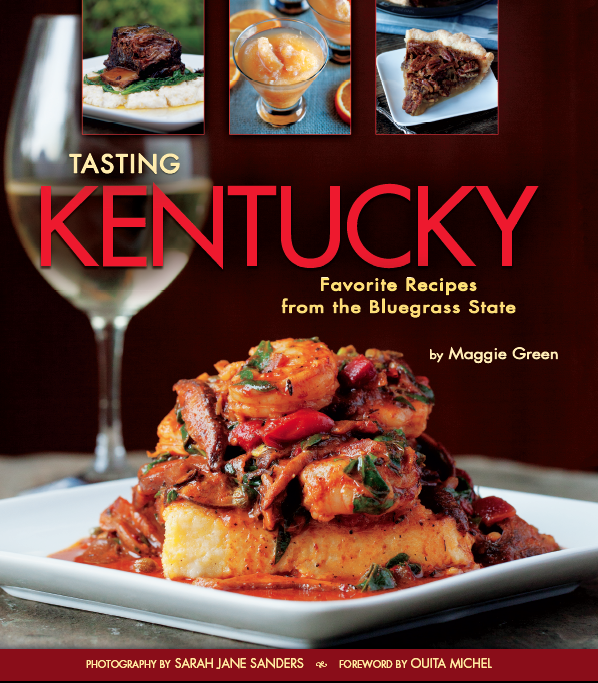 For Mastering the Art of Southern Cooking, my co-author was already contracted to write the book. I was no longer with my agent, so my co-author’s agent revised the contract, along with the publisher, to include both of us. We used that agent again for Southern Biscuits as we came up with that book idea in the middle of writing Mastering. 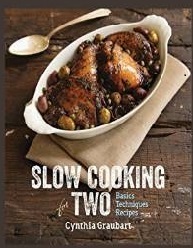 Since I had formed a relationship with the publisher during the course of writing those two books, I did not use an agent for the two slow cooking books. (I have also read many book contracts over the years from writer friends, so I have more familiarity with the clauses that are negotiable). We also used Nathalie’s agent for the vegetable book. I did not use an agent for the Sunday Suppers book. I’m a bit of an unusual case with my cookbooks. I conceived and wrote The One-Armed Cook. Nathalie Dupree had conceived Mastering and I became her co-author. We pitched the biscuit book to our publisher in a phone call and then the agent took over the business end while we wrote the book we wanted to write. The rest of my books I have been asked to write, which is a compliment I don’t take lightly. If I want to write a cookbook, do I need to retain an agent? Any first-time author should read everything they can about publishing as their first step. In particular, I recommend John Kremer’s 1001 Ways to Market Your Books and The Self-Publishing Manual: How To Write, Print & Sell Your Own Book by Dan Poynter (whether you are self-publishing or not – it’s a great resource for how the business works). It is so important to understand the business. It is run like no other. After you have made yourself familiar with the ins and outs of publishing, work on your proposal. Research agents and publishers to get an idea of where your book idea might fit in to their lists. Some agents post proposal guidelines on their websites. If you become a member of the Author’s Guild, it will review your contract for free and offer suggestions. It sure seems so if you look at the biggest sellers – either that or a TV show! What every agent will tell you is that you need a “platform.” For some it’s a television show, others it’s a food blog, others it is a significant Facebook or Twitter following, and it might be food writing for print. What are your thoughts about an aspiring author, who’s an unknown food entity, writing a cookbook? Where should he/she start? The research I mentioned above is crucial. Next, I would say that joining a community for support and developing contacts is essential. The International Association of Culinary Professionals (IACP) is perhaps the best of the bunch, offering many educational opportunities. How do you manage your time stay focused and get all your work done? I must be honest and say that I do not earn the equivalent of a full-time salary for someone my age in the business world. I do make enough money to promote my work and enjoy the profits. If I didn’t already have a roof over my head, I don’t know that I could completely support myself, or at least in the style to which I’ve become accustomed! As for the work, I work every day that I am home. I do a bit of traveling, more so when I’m promoting a book, so those days at home are for writing and testing. I think because I so enjoy what I do, I don’t look at it as “work.” I am especially disciplined when I’m working on a book, and I don’t miss deadlines. If I let anything slip, it’s that I do not spend enough time promoting myself and my work. How did you pick recipes/develop recipes for your cookbooks? How will I know that the people who buy my cookbook will like the recipes? I begin with an outline for the book. I decide on the chapters and what each chapter should contain. I look for balance in the overall book. For example, I know that in a particular book I’m going to have beef, chicken, and pork recipes. Most people eat more chicken that the other two proteins, so my chicken chapter will probably be a little longer. Within the chicken chapter, I know that I want a mix of whole, cut-up, breasts, and thighs. I also know that I want a balance of flavors (unless I was writing an all-Italian book for some reason). Once I have this map, I start developing recipes. I might start with a chicken curry dish. I know the basic components from study and practice, so I’ll start with those ingredients, then add a new twist, or not. I keep detailed notes on successes and failures, which aid in writing the directions and headnotes. I will say that no one should write a cookbook that contains untested recipes. Unfortunately, this is more the case than ever. It is shameful and huge disservice to the reader. Make sure the recipe works. And not everyone will like everything in your book. You make your recipes the best tasting they can be, write clear directions, and write descriptive headnotes. If you don’t develop a large testing program, at least have friends test your recipes and give feedback. Your book will be all the better for it. Be proud and promote your work. In my own cookbook buying and collecting, I consider it a win if I get three great recipes out of one book. This is a lot of great information. Thanks for sharing it with us. You’re welcome, veronica. I’m happy to share this information. I’m starting a new round of interviews and hope to have them starting in early October.